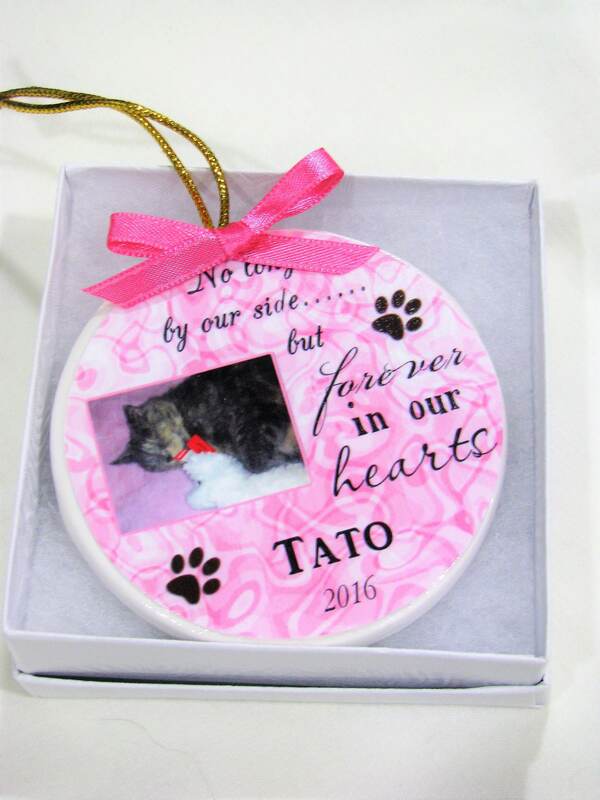 Capture wonderful family memories with a personalized ornament. 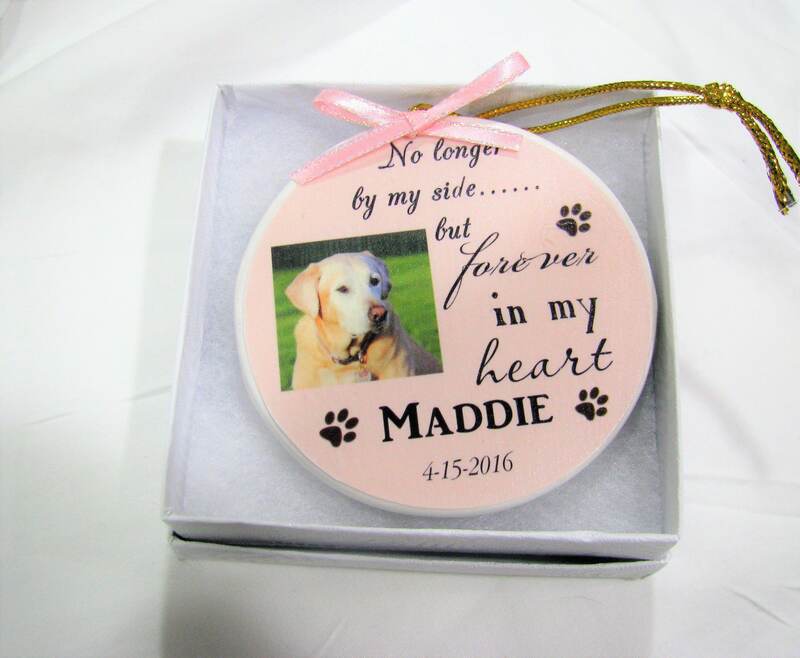 A classy ribbon at the top and gold elastic makes it easy and elegant to display this fantastic keepsake. 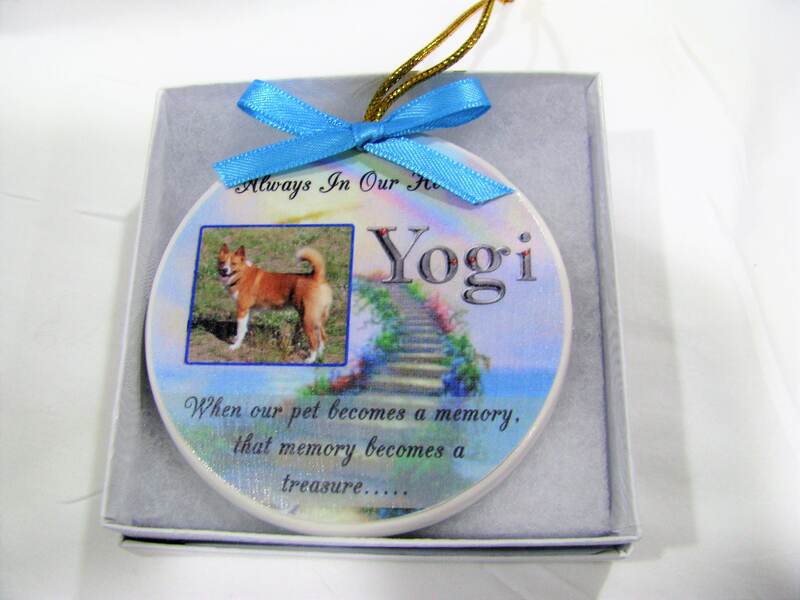 Elegant circle-shaped holiday memorial ornament for the loss of a pet dog, cat, or other loved one features a photo on the front, along with their name and date (optional). Colors and fonts can be customized. 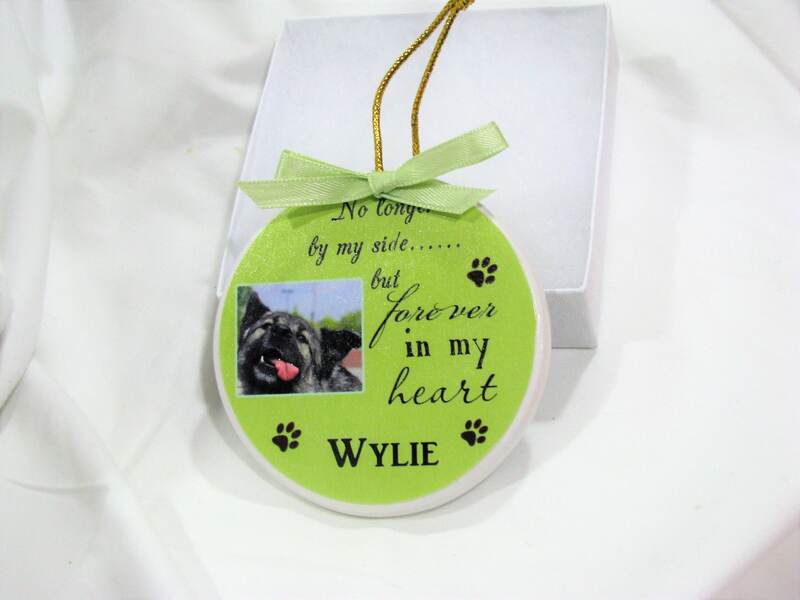 Please send a message via Etsy and attach the photo that you would like. I will send a proof back. Please list the names and dates in the notes/personalize section. 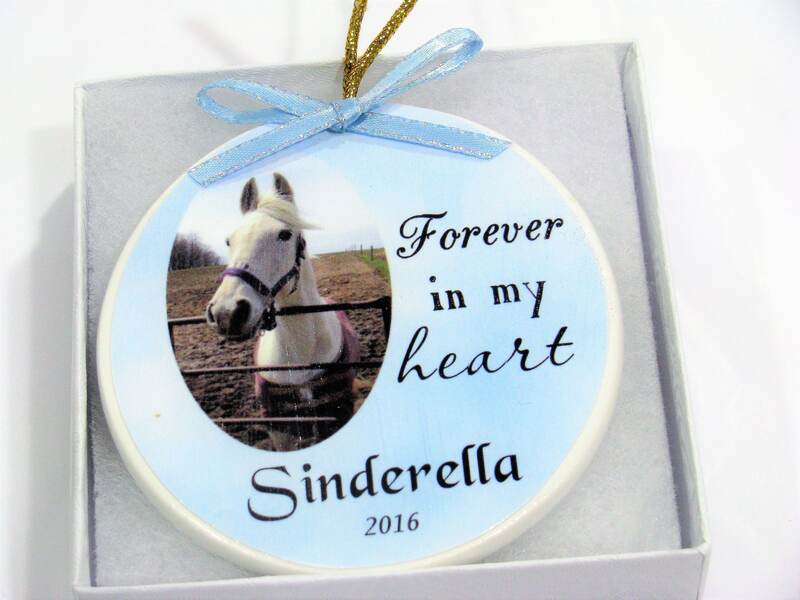 I am happy to make a custom ornament and also happy to try and find the perfect ribbon to add that extra touch!